Roast Beef with Avocado, Cheese, EDAMAME, Black Pepper and Consomme Jelly SpoonSushi! If you prefer meat over fish for your SpoonSushi, this is an idea for you. With Avocado and Cheese, it will add more rich and tasteful flavor! Ingredients Roast Beef Avocado Cheese EDAMAME Black Pepper Sushi Rice (White rice with rice vinegar) Chef's Tips Add some Black Pepper for a bit of spiciness! Shrimp with Avocado and Cucumber and Sweet Chili SpoonSushi! 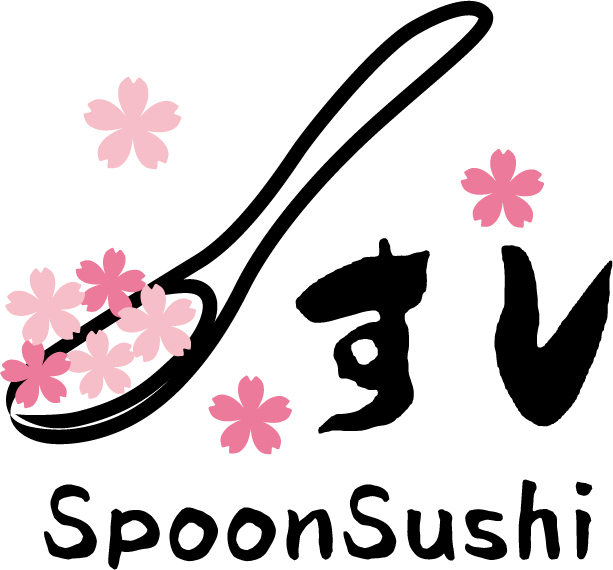 Here is something new: SpoonSushi with Sweet Chili Sauce flavor. May go well with some Tom Yum Kung (Thai hot and sour soup), too! Ingredients Shrimp (Boiled) Avocado Cucumber Sweet Chili Sauce Sushi Rice (White rice with rice vinegar) Chef's Tips Mix Shrimp, Avocado and the Sweet Chili Sauce together before serving it on the rice. Shrimp, IKURA and Cucumber SpoonSushi! Foie Gras with Grilled Leek and MATCHA SpoonSushi!